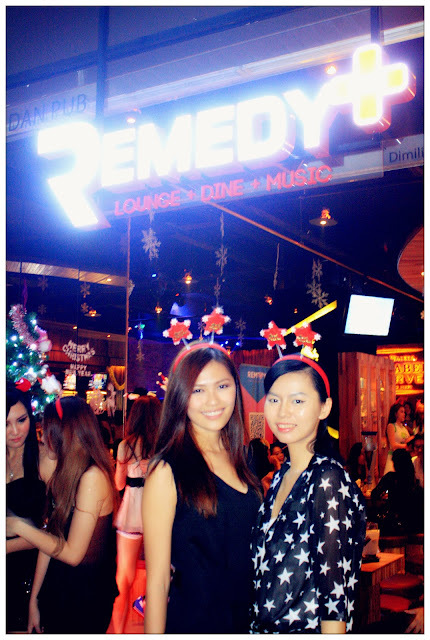 Remedy KL & WeChat Wishes You Merry Christmas and Happy New Year! 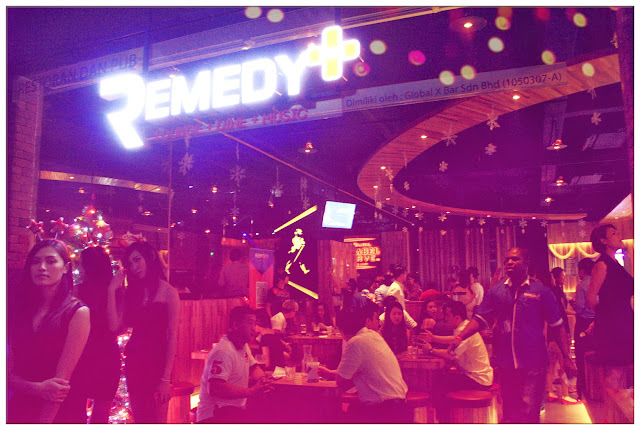 Remedy Plus and The Remedy were both located at first floor of Scott Garden, KL's currently most happening party place at the moment. 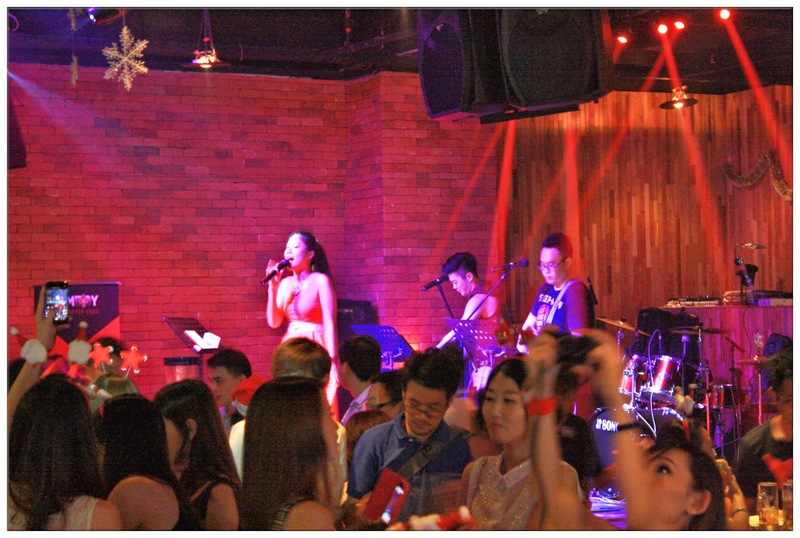 I was invited to join Remedy Plus & WeChat's Pre-Christmas Celebration last Friday, and believe me, Remedy Plus was so crowded and everyone was enjoying their Friday night celebration. Full house! Can't move without bumping into somebody. 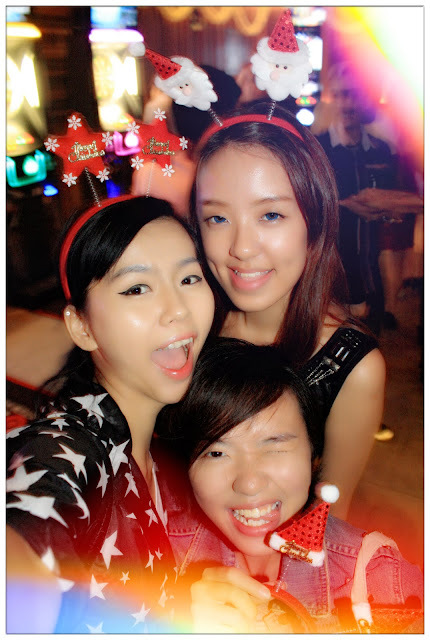 Bumped into Senri and Isabel that night. We're in Christmas party mood already! Woohoo~! 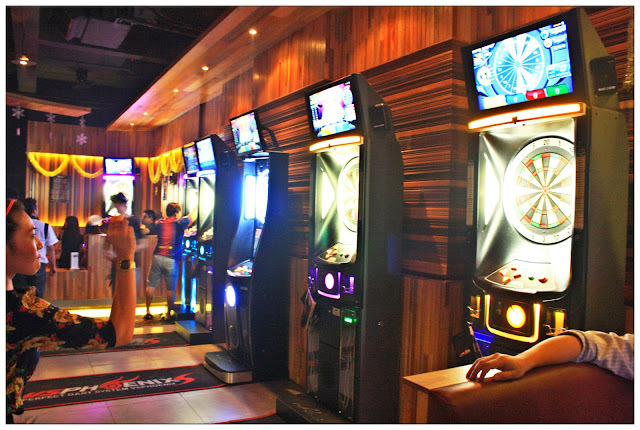 Remedy Plus is such a good place for drinking, friends gathering and partying. 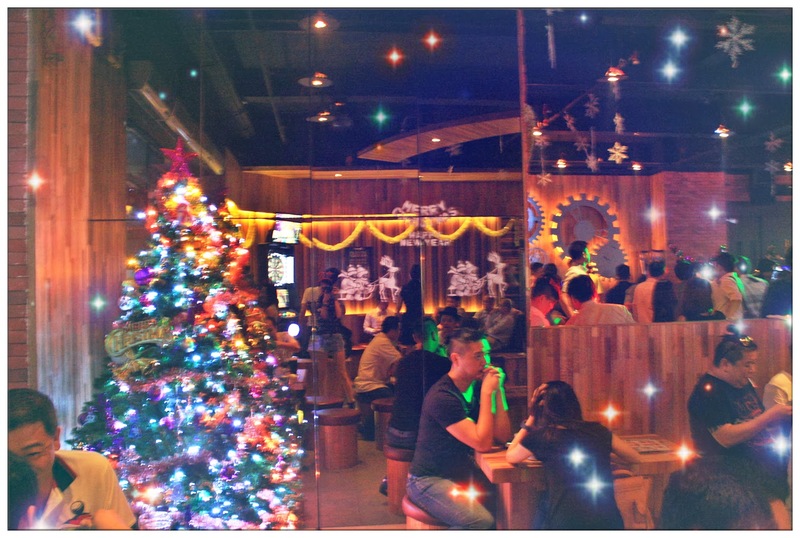 You can either drink, chat with your friends, eat (their food tastes good!) and also play darts as there are plenty of darts machines located in the bar. Then, they have this power live band performance inside the bar. What an atmosphere. Bumped into LiSha that night, such a long time since I last seen her! 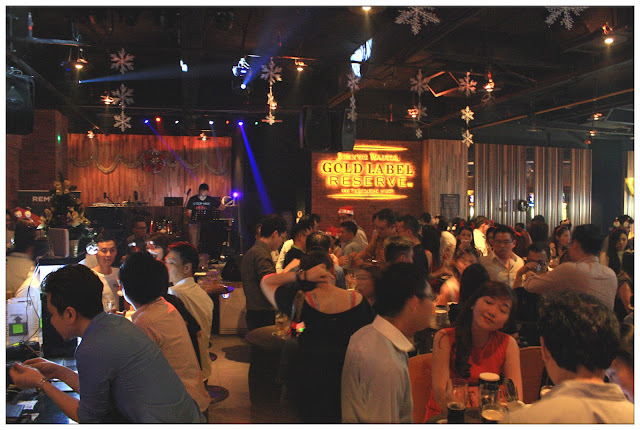 Enjoy your first pint of Guinness or Kilkenny at the price of RM18 and enjoy the 2nd pint of beer for FREE! FREE!!! This promotion starts from 19th December till 2nd January of 2014. So hurry up! Download WeChat in your phone, and scan the QR Code below to start following Remedy KL's Official WeChat Account and enjoy the great deal today! 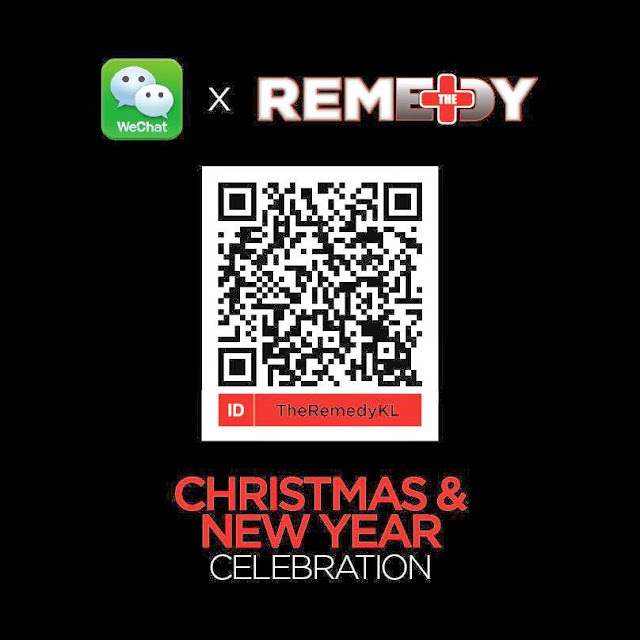 Or type Remedy's WeChat ID: TheRemedyKL and start follow their official account! Click the pop up message in WeChat and redeem the good deals by showing the waiters at Remedy KL when your beer are serve to you!